A delicate double tennis bracelet, set with delicate cubic zirconia. This bracelet is an adjustable fit. A stunning addition to complete your look, perfect for those special occasions. 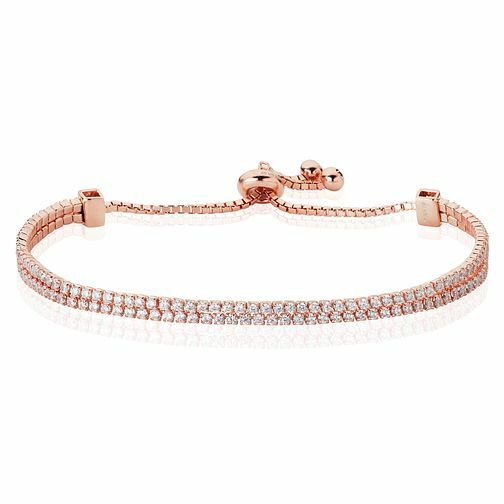 Rose Gold Plated Cubic Zirconia Adjustable Bracelet is rated 3.2 out of 5 by 6. Rated 5 out of 5 by Anonymous from Great value Bought as a gift and well received. Looks like it could be worth double the cost. Good quality.